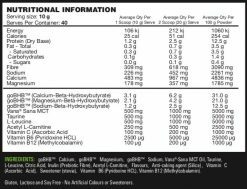 Keto Switch by Switch Nutrition is designed to switch your body into ketosis so you can feel cognitive and it can also aid in burning fat. Keto Switch by Switch Nutrition also helps in increasing your energy levels to make you feel more energised for longer and it enhances focus. The goodness of Keto Switch by Switch Nutrition doesn’t stop here as it also helps with reducing inflammation, it helps control blood sugar levels and it also helps in improving insulin sensitivity so it helps fight food cravings. 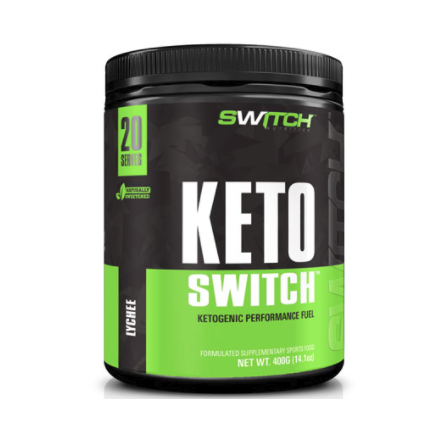 Keto Switch by Switch Nutrition is made from the highest quality ingredients including a blend of ketogenic amino acids, C-8 MCT oil (Medium Chain Triglycerides), Acetyl L-Carnitine to help with fat burning. 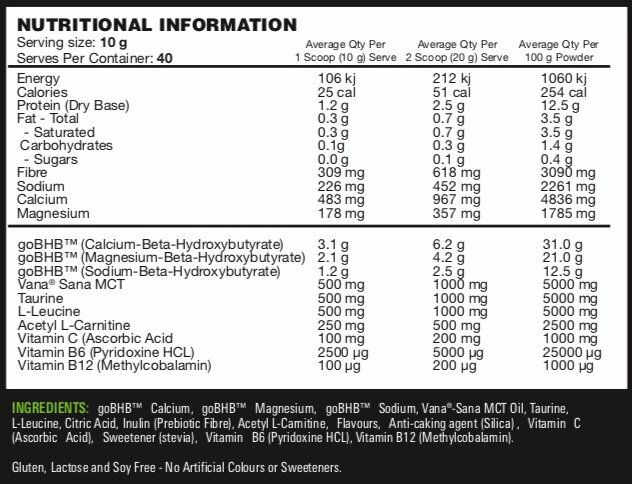 The combination of these ingredients helps enhance your energy levels and improve overall performance. So if you’re looking for a product that enhances your energy levels and helps you feel focused as well as aiding you in burning fat, then look no further than Keto Switch by Switch Nutrition! 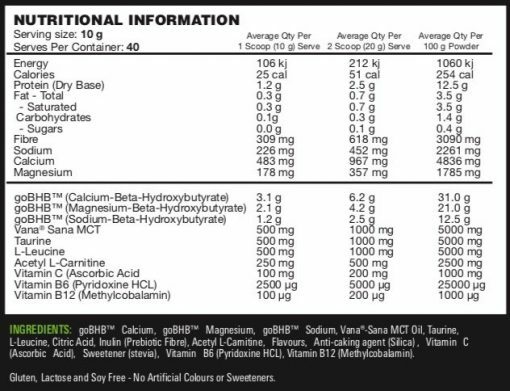 Manufacturer recommends to consume 1 serving daily in 400 -600 ml of water.